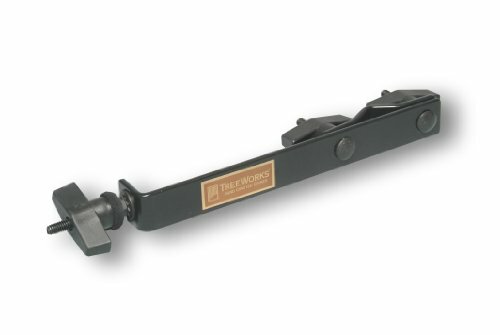 From the chime specialist, this American-made chime mounting clamp is both sturdy and easy to use. It works on all brands' chimes and can quickly be attached or removed from almost any tubular stand, like a cymbal stand, microphone stand or sheet music stand. That means you can place the chimes right where you need them. It is specifically designed to hold the chimes stable and secure during performances. It also extends the chimes away from the stand making them easier to play. The construction is solid steel finished in smooth black with felt washers to protect the chime. Made in the U.S.A. - Works on all brands' chimes - Stabilizes the chimes during performance - Solid steel construction - Made in the U.S.A. THE BEST CHOICE FOR MOUNTING CHIMES | Because this model can be attached to cymbal, microphone, and music stands, it is one of the most adaptable chime mounts on the market. Simply tighten the T-knob to the mantle of your chimes to stabilize them for your performances. The TRE52 works with all brands of chimes and can be used for other mountable instruments. PROUDLY MADE IN THE USA | Each TRE52 is made of super rigid, laser-cut steel and assembled by hand in our workshop just north of Nashville, TN. UNCOMPROMISING STRENGTH AND STABILITY | Given its ability to mount to nearly all drumset hardware and stands, this mount is the perfect choice for performing musicians who travel and set up their equipment frequently. All models come with a matte black powder coat finish. DIMENSIONS | The TRE52 is 16 x 2 x 4 inches in dimension.